Ethiopian Airlines has offered to give soil from the crash site to the families of the victims to bury in place of the remains of their loved ones. 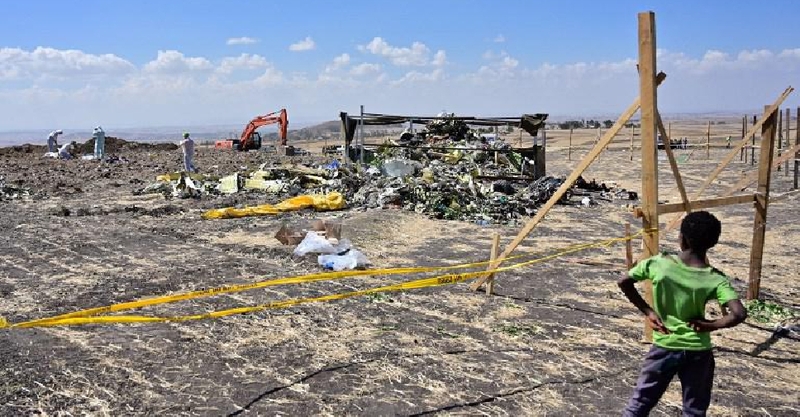 The decision to hand over the soil from the crash site at a planned service in Addis Ababa on Sunday was made after authorities said the identification process could take up to six months. The airline also urged the families of the passengers to provide DNA samples to their offices in Addis Ababa or overseas. Boeing has grounded their 737 Max 8 and 9 fleet just days after flight 302 crashed on March 10.